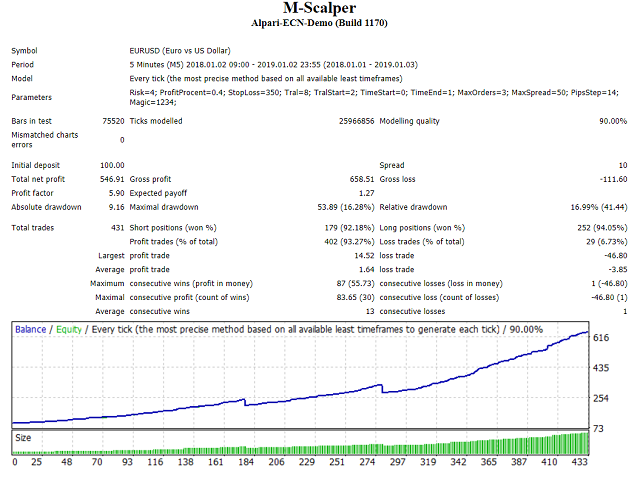 M-Scalper is a night scalper entirely on a mathematical algorithm. Indicators in the advisor are not used. 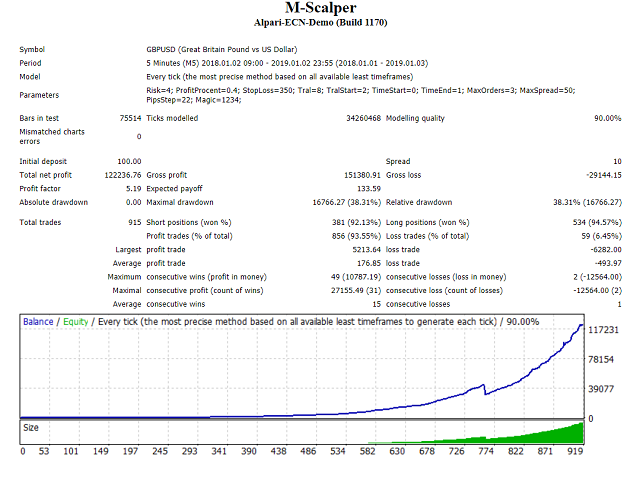 The advisor needs a fast VPN and a broker with minimal spreads. The minimum deposit is $ 100 if the minimum lot from your broker is from 0.01. The default settings for GBPUSD are M5, GMT +2. Be attentive to the time settings in the advisor for your broker.